The worst thing about a 2 wheel drive pickup is that they have no traction in the wet...or maybe that is the best thing about a 2WD pickup (depending on how you drive...but I digress). 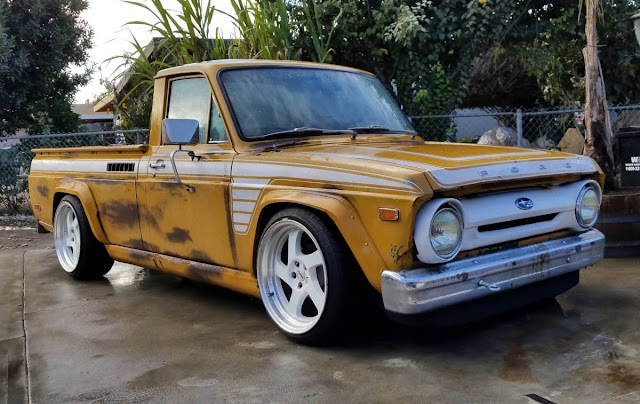 The Ford Courier pickup was actually a Mazda B-series that was available over the years with a number of small powerplants, including a Wankel, but today's example has been converted into a boxer-4 powered all-wheel-drive custom. 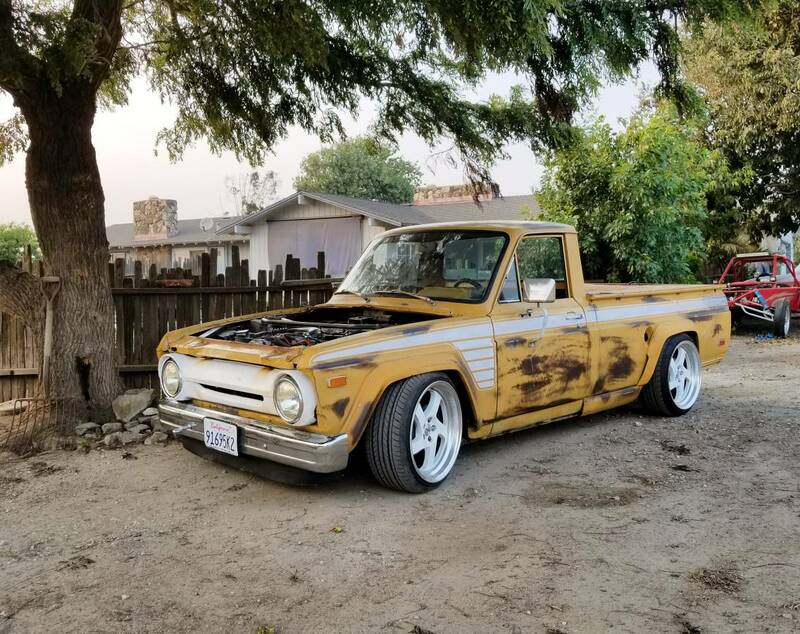 Find this 1973 Ford Courier offered for $7500 in Salinas, CA via craigslist. Tip from Safety Fast. READ THE WHOLE ADD BEFORE ASKING MILLIONS OF QUESTIONS THANKS..
CFLO-you'll need a corresponding Vickup nickname for this one! I don't care how nice these dream vehicles look, but if you ask real "coin" for an unfinished "dream" that needs a trailer to take it away, it does not make sense to me? 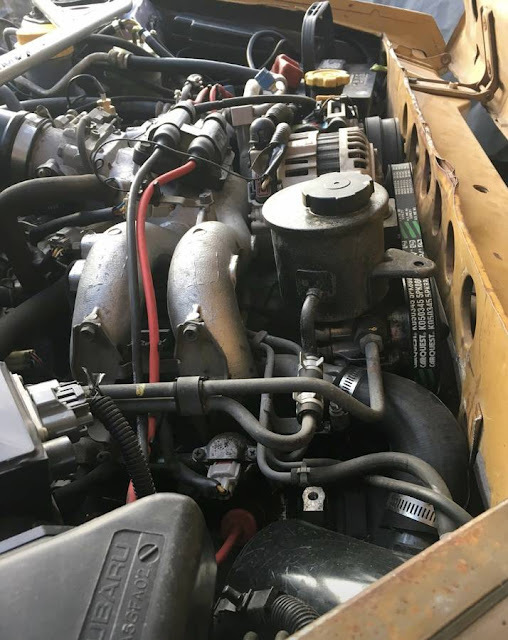 Anything more than using it for a parts car and asking $ 1K is too much? This could be really fun. $7500 fun? Not even close. Maybe open up the floor in back a bit, and then build a new bed cover with the slats further apart than what is pictured, and put some old school hot rod louvers in the tailgate. Then a pair of electric fans and you 'might' get it too cool. Would be really cool to see this finished. @DT - of course! I did not realized how Subaru lays out their AWD set up. Thanks for that excellent image above. Got it now! Actually very similar to the FWD setup in a Citroen 2CV (or maybe the Citroen GS, seeing as they had a flat four.) But no need for a radiator on those Citroens. Exactly! Think of how the engine in an air cooled Beetle essentially bolts to the end of its transmission, behind the rear wheels. Now, flip it to the front of the car, and that is essentially the Subaru layout.